West Hampstead Life | How much for this letter to the Corinthians? How much for this letter to the Corinthians? The possible move of West Hampstead’s post office into St James Church is at an advanced stage of negotiation. It would be one of the first church post offices in a major British city. Yet it seems very few people are aware that it might happen. The franchise owner of the existing West End Lane post office – Mr Ajay Kukadia – has apparently decided that it’s time to call it a day after almost 25 years. He has other plans for the premises. However, he has said that he will not close the post office until an alternative location has been secured. Mr Kukadia approached local estate agents Dutch & Dutch to help find a new location and they tweeted this in mid-November. Almost immediately, Father Andrew Cain, vicar of St James and St Mary, replied. @dutch_and_dutch @whampstead – how about thinking a bit wider. Church? @dutch_and_dutch @whampstead – does it have to be a shop? @churchnw6 I don’t believe so. I like your thinking! Talk they did and the process has now moved on. There are, as you can imagine, lots of legal loopholes to jump through. The church – on the corner of West End Lane and Sherriff Road – has been accepted as a suitable venue, but that’s just the starting point. Now the Post Office and the church both have to prepare detailed plans and a business case. The church also has to approve the necessary alterations. When i first heard about this, I assumed that the plan was to house the counters in the church hall on Sherriff Road. But apparently, the idea is to have it actually in the church itself. This is not groundbreaking – but it is unusual, especially in London. In 2003, the parish centre in Hemingford Grey in Cambridgeshire took over the local post office. The first post office actually in a church opened in 2004 in the exquisitely named village of Sheepy Magna in Leicestershire – a parish with around 1,000 inhabitants. It was only open six hours a week. Sleepy rural backwaters, where demand is low and the pace of life slow, seem well suited to such co-located services and the local church often plays a more significant role in the community than it does in a busy multicultural setting such as north-west London. Unsurprisingly, given the often arcane and prosciptive nature of some religious doctrines, there may be challenges to overcome so that some members of non-Christian faiths can enter the church. For example, here are two counter-arguments from the Jewish Chronicle in 2008 about whether Jews can enter a church or not. According to the 2011 census data, more than 2,000 people in West Hampstead identify as Jewish, although the census does not of course tell us how many would side with the stricter interpretations of the Talmud. Some Muslims also believe they must not enter a church because of the display of idols, although once again it’s possible to find arguments on both sides given that there would be no religious context to the post office other than its location. There may be workarounds for the most orthodox of non-Christian believers, and pragmatism often wins out eventually given how much of sacred text is open to interpretation. Back to the practicalities of our own post office being in the church. Father Andrew points out that there are no guarantees this will come to pass. The post office space would also be an obvious location for one of the proposed pop-up police counters that are expected to appear as the police station closes. It may also cause a small but noteworthy shift in West Hampstead’s centre of gravity and could be a boost for those businesses south of the tube station. If all the necessary approvals from the church, the post office and the public consultation are gained then we might be looking at August or September for the grand opening. 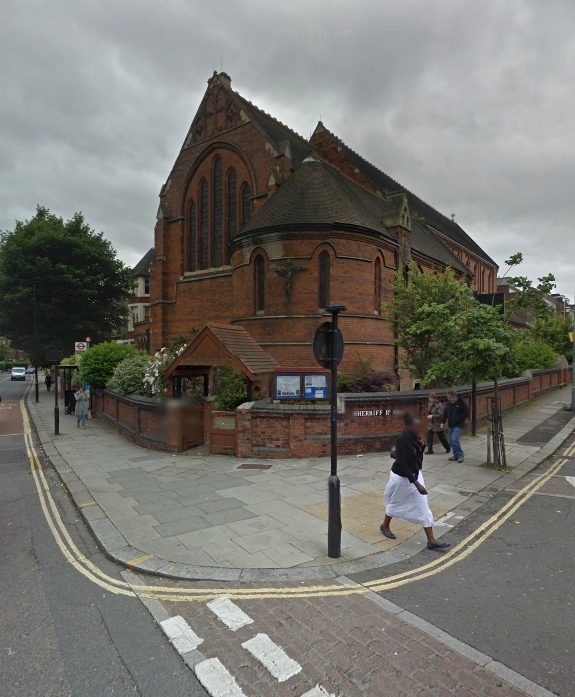 This is the 125th anniversary of St James’ church – could it give a new lease of life to the building at a time when only 36% of the local population identify as Christian – substantially lower than the 48% across London as a whole. As for what happens to the existing post office… did someone say Foxton’s? Of course, if nothing else comes of this, the whole story proves the importance of Twitter in West Hampstead! Oh, and Paul’s first letter to the Corinthians would cost him £1.66 in postage today or 87 pence if he wrote on both sides of airmail paper.